Highlights: Spread the word about a hilarious or unbelievable moment, like when LeBron walked out of a press conference. Cut out the intro: Shorten a clip to the relevant section without an extended intro. In this article, I’ll describe the easiest way to cut out a segment of a YouTube video using a free, online tool called Kapwing. Kapwing allows you to import the video directly from a YouTube link, cut out a section, and download the shortened MP4. You can share, save, and use the trimmed video your own creations. Kapwing is a free website, so you won’t need to install any software to use it, and you can access it from your phone or computer. Copy the URL of the YouTube video you want to cut. 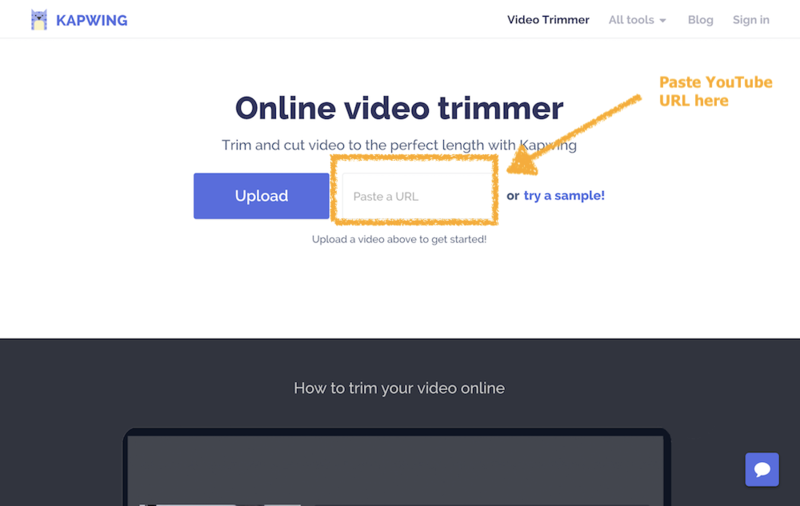 Then, open the Video Trimmer and paste the URL. Kapwing will automatically import your video from YouTube. Move the start and end time sliders to select the section of the video you want to include. The preview will show you what your output clip will look like. Once the preview looks right, click “Create” to process the trimmed section. Once the video has processed, you can download the clipped section to share on social media, message to friends, use in your own videos, save, or make into a meme! Hope this article helps you share YouTube video highlights with the world. Note that you can also use Kapwing’s audio trimmer if you want to download the music from the YouTube video as an MP3. Happy trimming!